Ice cream is a universally acknowledged form of sweet, creamy goodness. It’s hard to find someone who doesn’t enjoy ice cream, most people have fond memories of soft serve cones from their childhood. 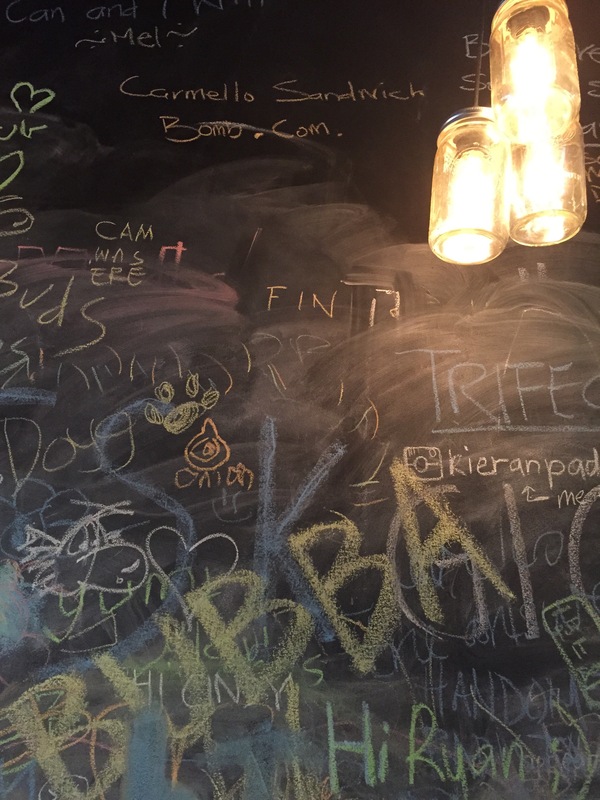 Whisk Creamery brings all that nostalgic goodness and more to their Subicao ice creamery. The atmosphere is quiet and relaxed. 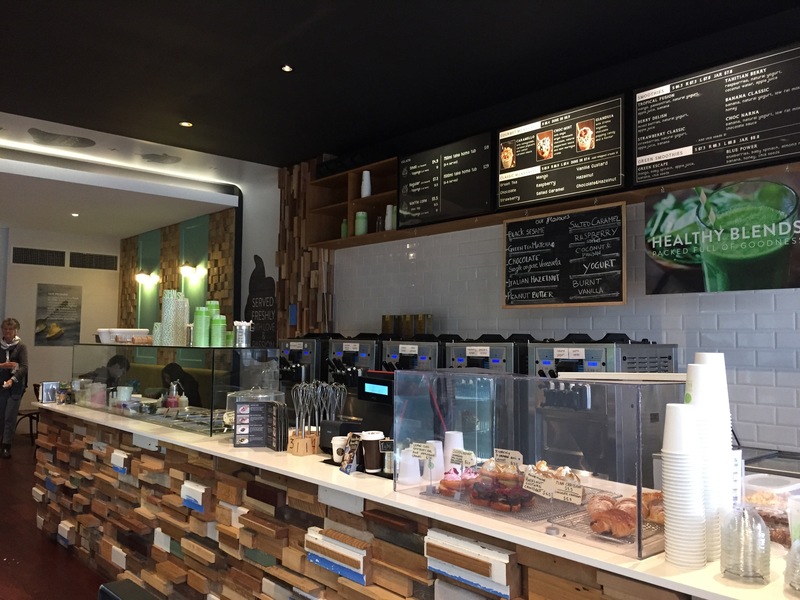 The soft serve machines take up much of the back wall but you’ll want to take a second to peruse the menu – it’s more than just soft serve cones on offer! 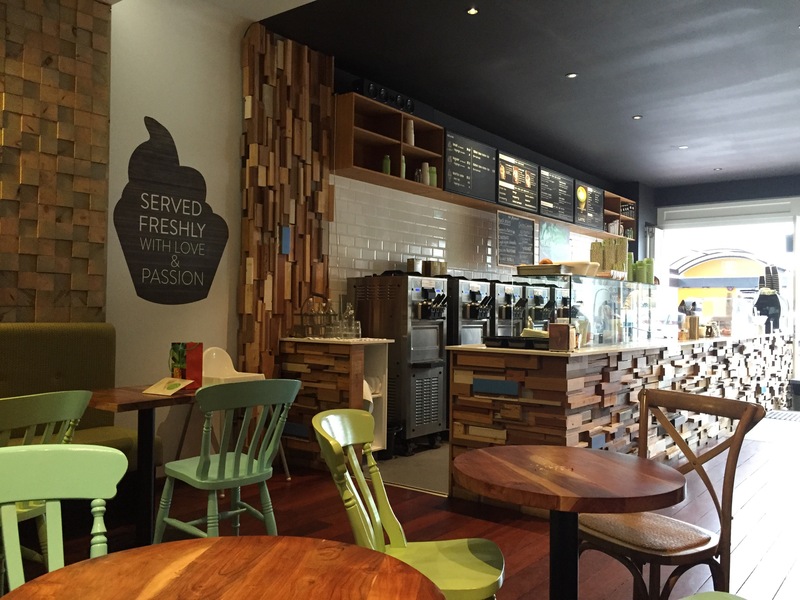 We took a seat towards the back and took our time on the menu, you can’t rush difficult decisions after all! We think we picked some winners and headed back to the counter to place our orders. First up, the caramello. 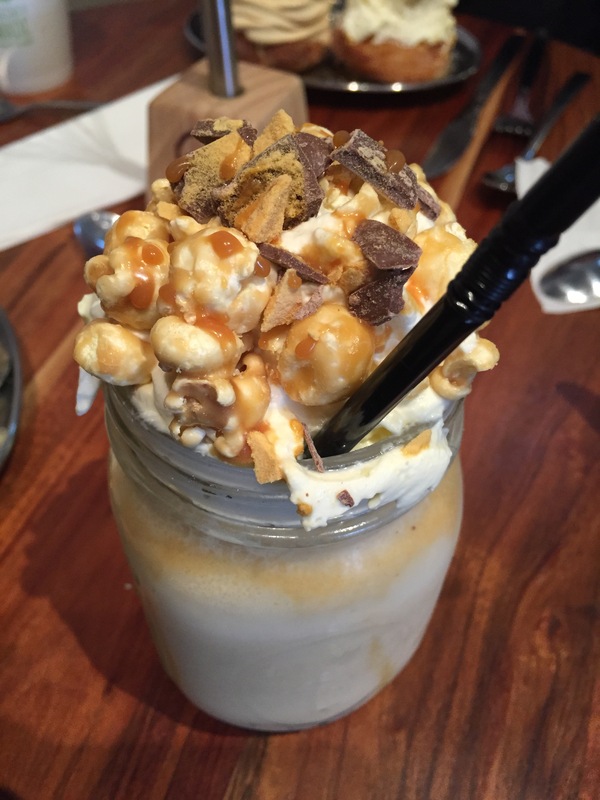 The milkshake that makes other milkshakes jealous. It was old school, caramel popcorn, chocolate crumble good. When it looks this good could you really expect any less? Our first choice from the menu was the mountainous passion berry pavlova. A light passion fruit meringue was topped with a tangy raspberry sorbet, a rose and raspberry mousse and adorned with freeze dried raspberry. This dessert has all the flavour of some of the heavier desserts but is light in texture and taste. The tangy raspberry and passion fruit make for a delightfully fruity flavour without it becoming overly sweet. 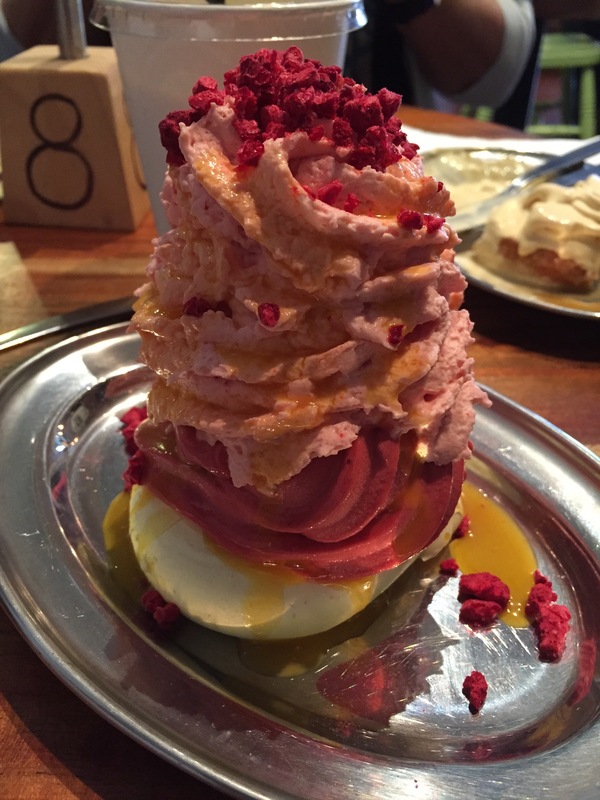 Did we mention its basically a mountain of sweet and tasty things? The menu item that has captured most of the attention on social media lately has been the salted caramel cronut, or ‘Caramel Sandwich’. 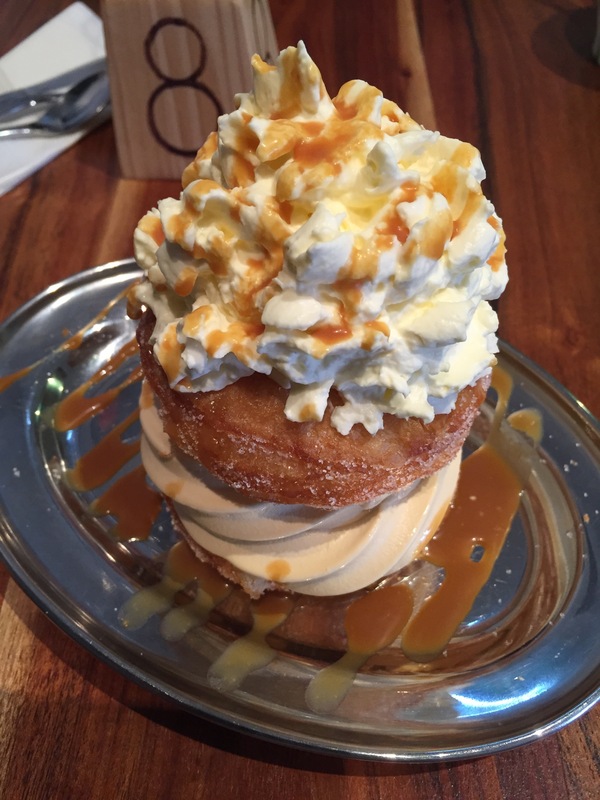 Cronuts are delicious on their own but with the salted caramel soft serve, cream and generous lashings of salted caramel this dessert was utterly indulgent. The flaky pastry of the cronut and the dusting of cinnamon sugar on your lips is heavenly with the bite of salt and shock of cold, sweet soft serve. This is one of those desserts you’ll just have to try for yourself! 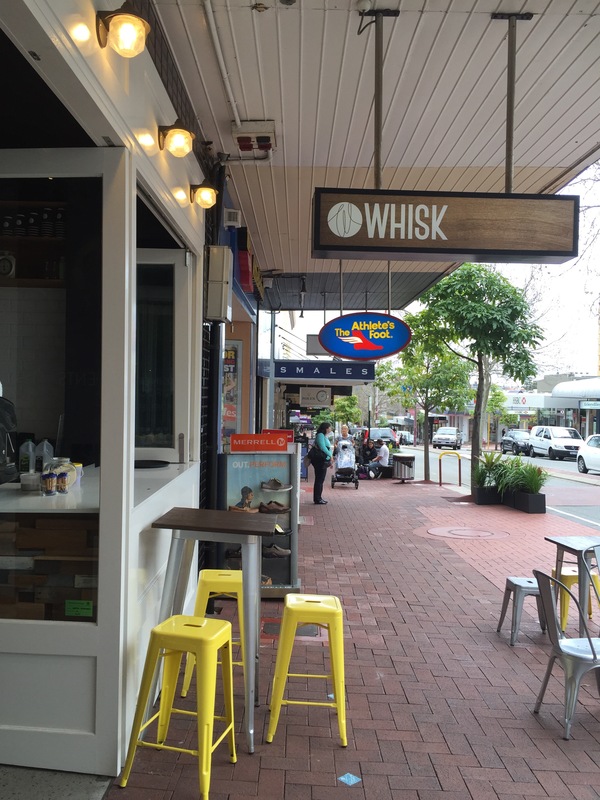 Whisk Creamery are a dessert bar to lust after, to travel for and to order it all. Because you don’t want to leave yourself wondering what if….